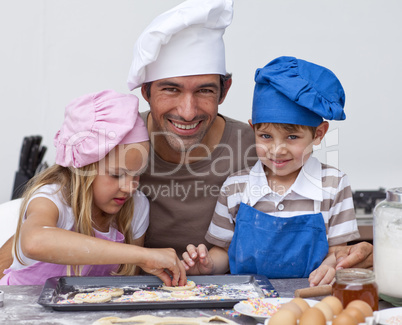 Royalty free photo Father and daughter and son baking in the kitchen with a maximum resolution of 4635 x 3744 pixels. The image Father and daughter and son baking in the kitchen is one of 23697 photos in the category Menschen and has been part of ClipDealer's stock since 11 Nov 2009 12:34:41. Father and daughter and son baking in the kitchen is released for Kommerzielle und redaktionelle Nutzung.